For smartphone users all over the world June 2018 was greeted with the release of so many expectant smartphone. May 2018 had its own phone-fest that drew audience but June 2018 was also without no doubt a big month for the smartphone franchise across the globe. So without much hesitation here is a rundown list of major smartphones that was released in June of 2018. Motorola has been churning out quality phones in the Moto G family and the latest happen to be Moto G6, the sixth generation and the successor to Moto G5. It had initially launched in Brazil in the month of May but for some reasons couldn’t launch in India and the US. Moto G6 finally launched in India on June 4th and the next day it was made available for purchase in the US. It featured a 5.7” full HD+ display and like all modern smartphones right now have a rear-dual camera and a 16MP front camera. 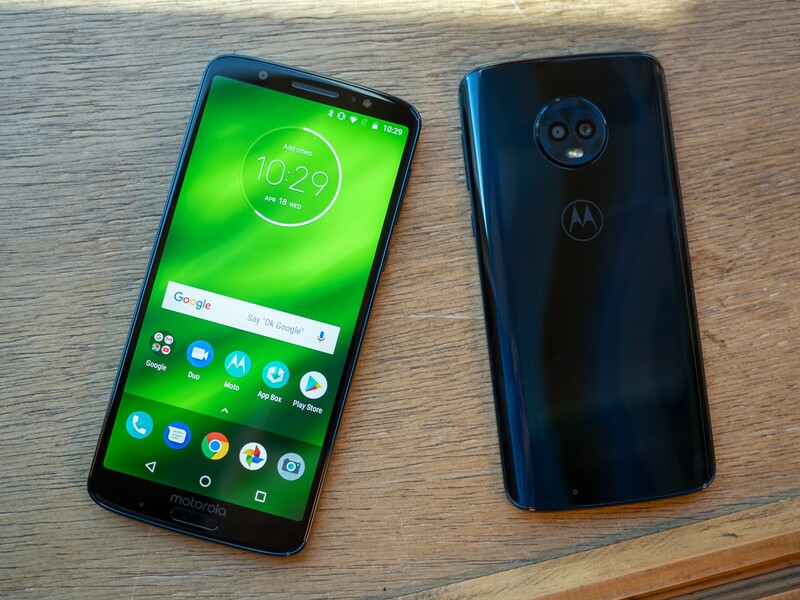 Unlike the Moto G5 which featured majorly a 3GB RAM with Snapdragon 430, the Moto G6 has a 3G and 4G RAM variant with a Qualcomm Snapdragon 450 chipset. It uses a 3000mAh Li-ion battery which is an upgrade on the 2800mAh of the Moto G5. Display: Moto G6 has an IPS LCD capacitive touchscreen and 16M colors. It also feature about 75% screen-tobody ratio and has a Corning Gorilla Glass 3 protection. Camera: Primary camera is a 12Mp + 5MP dual-LED dual-tone flash and features Geo-tagging, touchfocus, face detection, auto HDR. The front camera is 16MP with LED flash. 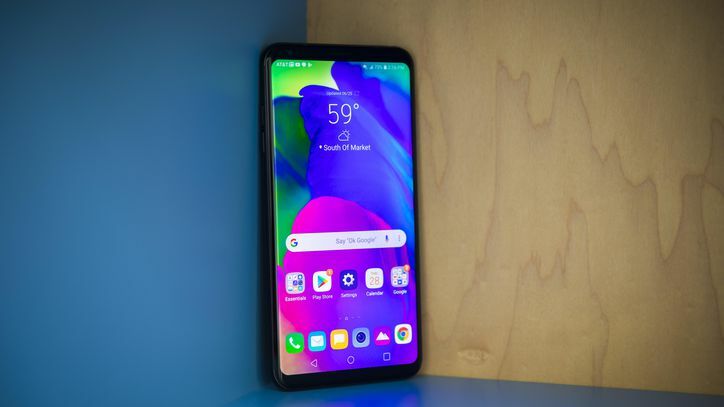 LG are one of the top dogs in the smartphone franchise and LG V35 ThinQ is their latest flagship as at the time of writing this article. The V35 ThinQ retains as much of its designs as the V305 and V30 as it boasts a 6.0” OLED display screen with resolution of 1440x2880, the display also have curved corners and two small bezels on the front of the phone. It has a dual-sensor camera which possesses a flash and a fingerprint sensor underneath which can also work as the power button. It has a 64 GB ROM, 6G RAM, and a Qualcomm Snapdragon 845. The V35 ThinQ also affords wireless charging and is water-resistant. The OS is the Android 8.0 Oreo but it can also be upgraded. Battery: The V35 ThinQ has a non-removable Li-Po 3300mAh battery. This can last up to 6 hours of video streaming. Camera: The V35 ThinQ comes with dual 16MP + 16MP camera, PDAF and laser AF, LED flash. Secondary camera is 8MP. Sensors: Fingerprint which can double as the power button, accelerometer, gyro, proximity, compass, barometer, color spectrum. 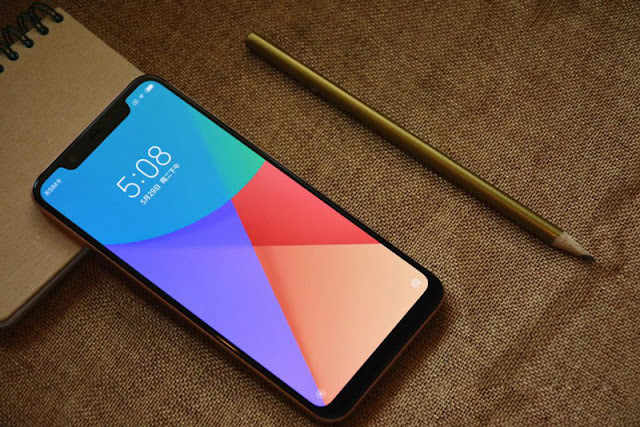 The Xiaomi Mi 8 is Xiaomi Inc.’s flagship Android smartphone and is a successor to the Xiaomi Mi 6 in the Mi series. The Xiaomi Mi 8 features a Qualcomm Snapdragon 845 processor with 6G RAM, its display screen is 6.2” with a resolution of 1080x1920 pixels. The Mi 8 runs on Android 8.1 Oreo and has a Kyro 385 GPU. It supports 2 Nano SIMs at a time and has a battery capacity of 3400mAh Li-Po. The Xiaomi Mi 8 bites into the smartphone rave of having dual rear cameras, double 12MP sensors, one for wide angle lens and the other for telephoto lens. The front camera has a 20Mp sensor. The Mi 8 however does not feature a 3.5mm headphone jack and comes with a USB-C to 3.5mm headphone jack adapter. Sound: no 3.5mm jack, supports MP3, WAV ringtones, and also features active noise cancellation with dedicated mic and a Type-C to 3.5mm headphone jack adapter. Features: no radio, Bluetooth 5.0, A2DP, LE, aptX HD. Wi-Fi 802.11, dual-band, Wi-Fi Direct, DLNA, hotspot. 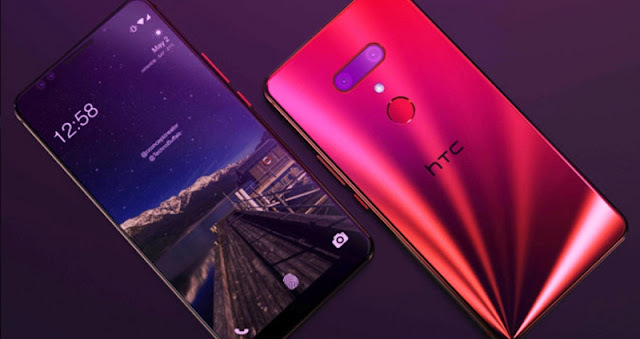 HTC’s latest launch is the HTC U12+ and is this year’s flagship by the smartphone giants; it improves on some of the features that were first introduced in the U11. The HTC U12+ has a 6G RAM and runs on a 2.8 GHz Qualcomm Snapdragon 845 SoC. 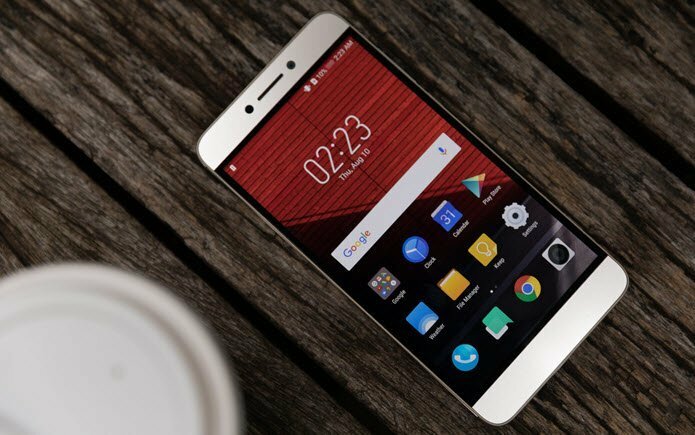 It comes with the option of a 64 or 128GB ROM. The HTC U12+ has a 6” QHD+ with a resolution of 1440x2880 Super LCD screen protected by Gorilla Glass 5 on front and rear. The HTC U12+ takes things up a notch by having a dual-rear 12MP + 16MP cameras and also a dual 8MP front cameras. It runs on Android 8.0 Oreo with HTC Sense and has a 3500mAh non-removable battery with quick charge 3.0 charger included and is QC4 compatible. It has a single SIM and dual SIM available. Sound: HTC’s BoomSound dual-speaker technology features on the device; it uses the earpiece as a tweeter and a bottom firing speaker as a subwoofer. The phone uses four microphones that can isolate subjects in videos and can automatically zoom up to 4x. it incorporates a DAC and active noise cancellation. Software: it ships with the android 8.0 Oreo and an overlay of HTC Sense UI. It features Project Treble which allows for faster updates after new versions of Android appear. This is perhaps the smartphone with the smallest display screen on this list, the Coolpad Note 6 launched in May 2018 in some market and launched in some other market in June 2018. The Coolpad Note 6 has a 5.5” display with a resolution of 1080x1920 pixels. It has a 4G RAM with Qualcomm MSM8940b Snapdragon 435 and what the Coolpad Note 6 lacks in size it makes up with its whooping non-removable 4070mAh Li-ion battery. The Coolpad Note 6 possesses dual SIM with a weight of 170g. The Coolpad Note 6 runs on Android 7.1 Nougat and has a 32 to 64GB ROM with up to 128GB dedicated card slot. Sensors on the phone include compass/magnetometer, proximity, accelerometer, and ambient light sensor. Camera: 13MP primary camera with LED flash, the secondary camera is a dual 8MP + 5MP which features Geo-tagging, touch-focus, face detection, panorama. Video range is 1080p. Network: GSM/ HSPA/ LTE. GSM 850/ 900/ 1800/ 1900. HSDPA 850/ 900/ 1900/ 2100. LTE. HSPA/ LTE. 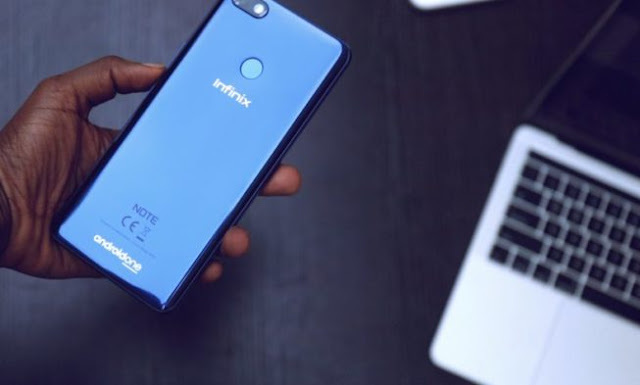 Infinix Note 5 comes with the latest Android 8.1 Oreo, the Android One program that put together latest AI powered innovations and improved security protections to the device. It features 16 megapixels front facing camera with a bight LED flash for quality photography and a lower but powerful 12 megapixels back camera. Equipped with 3GB RAM and 32GB internal storage space, while the Pro version comes with a larger RAM and ROM capacities of 4GB RAM and 64GB ROM. Infinix Note 5 is powered by an Octa-core 2.0 GHz with Helio P23 chip and Mali G71 MP2 on board. A very significant upgrade from the older variant (Infinix Note 4 Pro) that came with Mediatek chipset and Octa-core 1.3 GHz processor. Will you be getting one of these Major Smartphones Released Last Month ? Tell us in the comment box and interact with us.